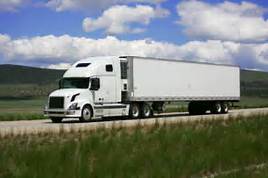 When an 18 wheeler suddenly becomes a 17 wheeler, or maybe even a 16 wheeler, right before you while traveling at the rate of 70 miles per hour, a definite decision and action is required. That is what happened to us recently on I-30 east. As we were travelling at the right rear of an 18 wheeler, suddenly a big commotion took place under the truck with some smoke and there was a very large wad of twisted rubber tire that was deposited right before us. It all happened so quickly there was no time for detailed observation as to how many tires were dismantled. There was only time to make a quick check for traffic around us and gingerly prance over into the other lane and shoulder of the highway in order to skirt around the formidable obstacle. In a moment it was all behind us and I watched in my rear view mirror as the truck pulled over to the side of the road. Apparently the whole thing was not without further incident. When we later came back down the interstate west bound, emergency personnel had loaded a wrecked vehicle with a boat and trailer at that same location. From time to time for the rest of that day we voiced our thanksgiving to God for his deliverance in our lives, and for the fact that I was paying close attention. We discussed how that had I just happened to have been casually glancing off to one side at that moment, as we so often do while driving, our day, and possibly our lives, might have been drastically different. Diligence carries its own reward. Jesus instructed us to watch and pray “lest ye enter into temptation” (Mark 14:38). Jesus is saying that bad situations can be overcome by diligent watching and praying. As we experienced that incident with the 18 wheeler, so should we be diligently watching and praying concerning things of our own and our family’s spiritual experience. Jesus gave himself to provide good things for us in every way. If we pay close attention and do what he says to do, we can keep moving forward on the road and finish our journey with joy, right on in to eternity. It would be such a shame to miss eternal life because we failed to pay attention and take that definite decisive action we need to take in order to do what we need to do.